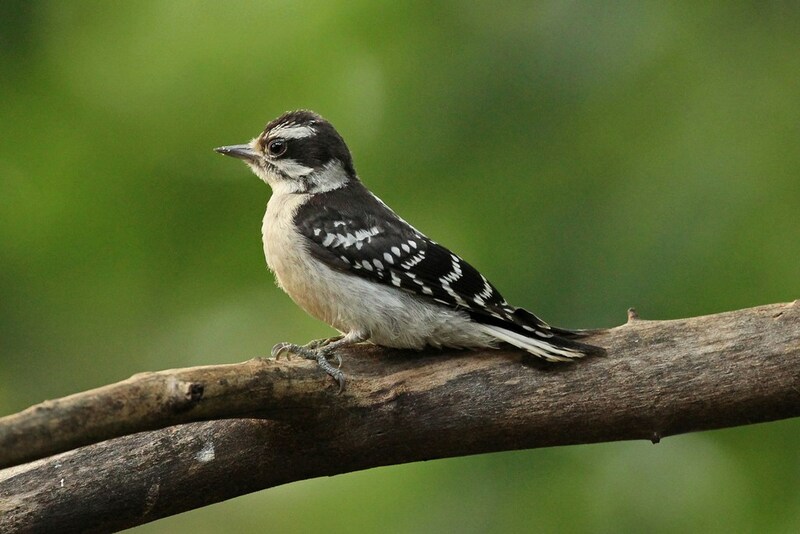 The diminutive Downy Woodpecker is a delightful little bird that rarely makes a fuss. These cuties are regular visitors to the backyard Bark Butter branch. …rather than resorting to fight or flight, they just opt to drop out of sight. …then they pop back up and resume their merry munching. 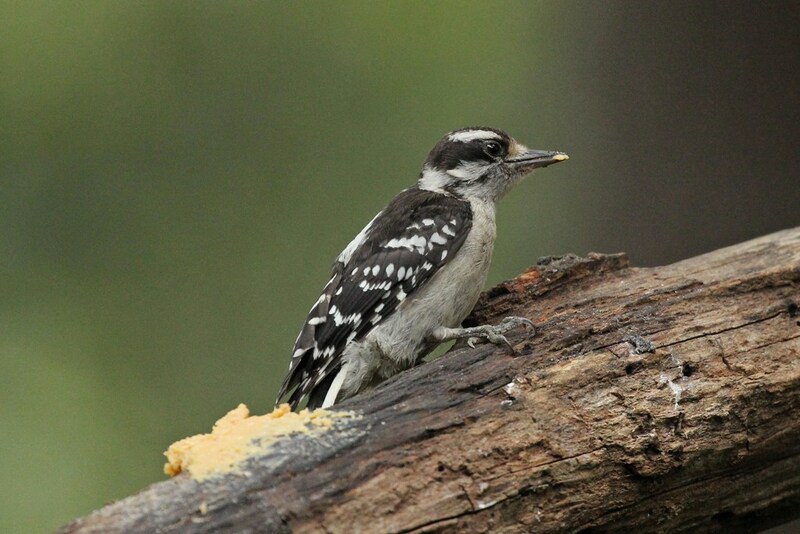 This entry was posted in Backyard Birds and tagged bird watching, birds, creativity, Downy Woodpecker, hobbies, nature, photography. Bookmark the permalink. OMG I wasn’t expecting that! To see him hanging under that branch- thank you for the smile!! You are welcome for the smile! Out of sight, out of trouble. Clever bird. Cute and clever…a winning combo! Seems a fair and succesfull strategy! Seems to work well for him! 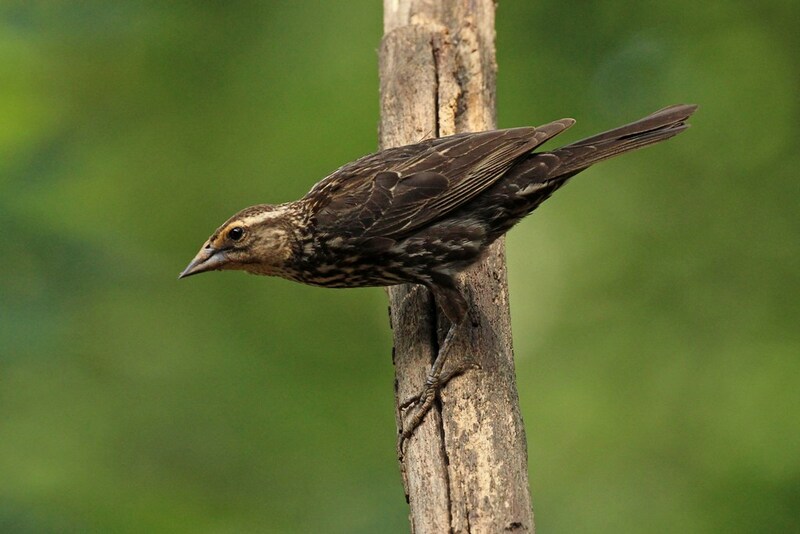 Excellent captures of the little Downy. I have seen them hang and wait like that…smart little birds. Aren’t they fun to watch?! Yes, they are fun to watch. They really are rather clever! 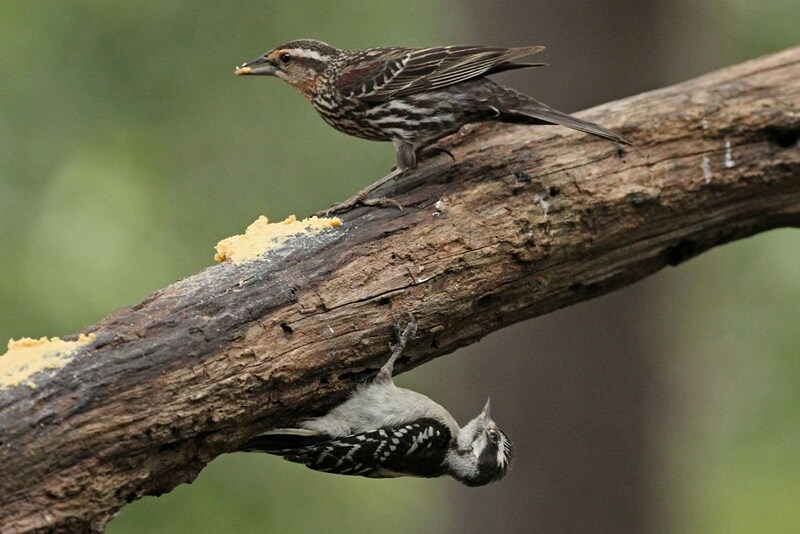 Benjamin said : “The little woodpecker is very good at sharing, taking turns and waiting. Maybe some some stuff on the bottom of the branch would work too!” It is nice to see this little peacemaker adapting to the situation with patience…probably secure in the knowledge that there will be more available to those who wait. Wonderful photos! Thank-you x 2!! Tell Benjamin I shall try his idea. 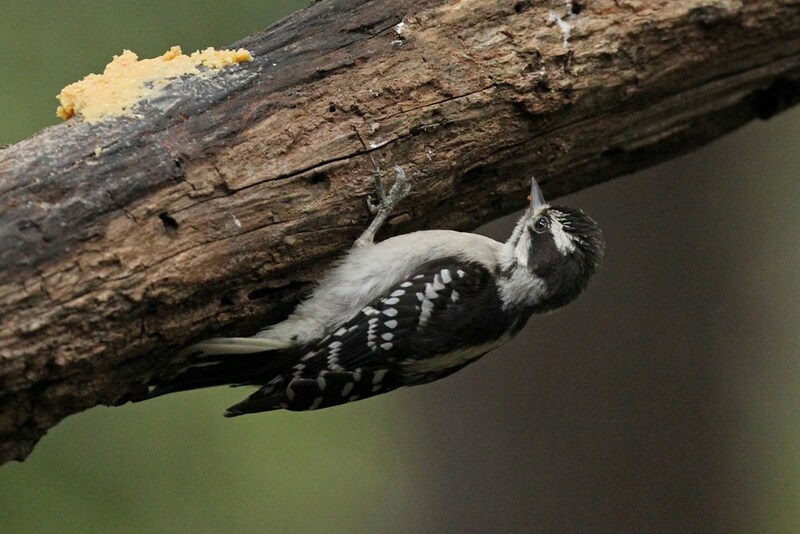 When I spread some Bark Butter later today I will see if I can stick some on the bottom side of the branch! I think I need some Bark Butter. 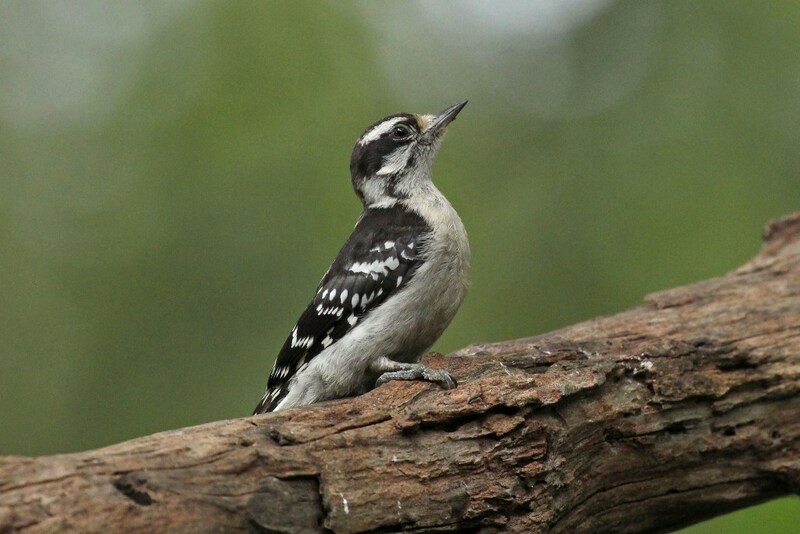 I have only seen a downy around my trees once.